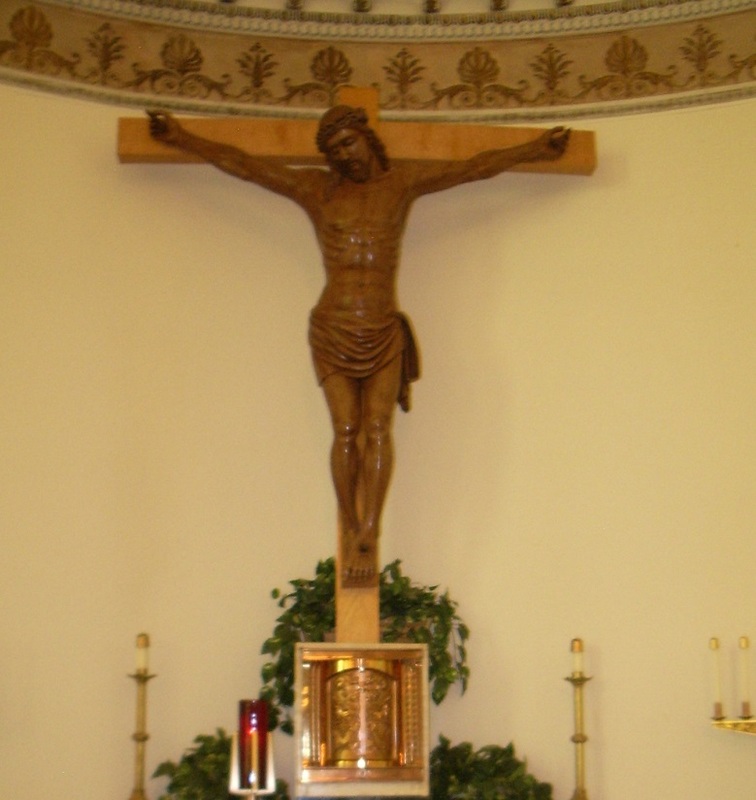 Why do Catholics typically have a crucifix in their homes and churches rather than crosses? For Catholics, the life, death, and resurrection of Jesus are all part of the mystery of salvation, the Paschal Mystery. No part of Christ’s life can be ignored or papered over as we contemplate the great gift of God’s coming as a human in order to repair the divide between human and divine life. The crucifix reminds us of the totality of this commitment of love and faithfullness of our incarnate God, our God who became one of us. Jesus could have backed out of his mission at any point along the way to Calvary, but he didn’t. He remained faithful to his calling, his mission: to proclaim liberty to captives, release to prisoners, and to preach good new to the poor. It was this faithfulness and personal integrity which lead him to the cross. But through that death, Jesus was not defeated. The Father raised him up from death. Death was forever destroyed and humanity re-united to the divine love from which all creation flows. Many Christian churches have only a cross in the sanctuary. The cross by itself is meant to remind us that Jesus’ story didn’t end there. He is no longer hanging defeated on the cross. He is risen. Another alternative form of the cross makes this even clearer: the risen Jesus is seen in front of the cross with arms outstretched in blessing. There is room for each of these ways of depicting Jesus’ sacrifice. As Catholics, we generally find the crucifix in our churches, especially the older ones. But in some communities the crucifix does not have as prominent a position as in others. Either option is permissable. 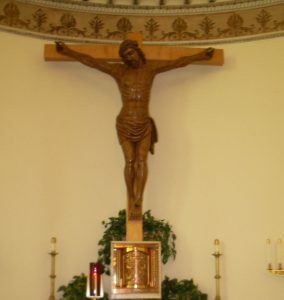 Image is of the crucifix in St. Patrick Church, Spokane, WA.